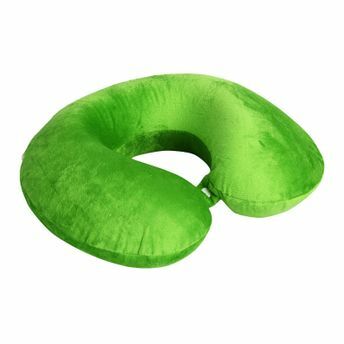 Designed to support your head and neck, the wrap-around shape of this pillow ensures that your neck is adequately supported while in-flight or on road. Made from temperature-sensitive, Thermal Adapt memory foam, this Hush neck travel pillow will ensure that you arrive at your destination feeling fresh and rested! This pillow is dust-mite and allergen resistant and comes with a zippered, machine-washable cover.